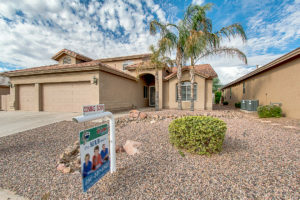 Real estate near Chandler, Arizona is a great investment! Congratulations! You are ready to buy a home in Sun Lakes, AZ. You’ve made a great choice as homes in this area saw a 5% appreciation trend in 2016 over 2015. Plus, you can enjoy the fantastic, warm weather year-round, fun activities and friendly people. Research buying a home in Sun Lakes, AZ. If you are like most home buyers, you will start your research online by searching for various areas and price-points that meet your needs. From here, you can go into more detail relative to the communities and their proximity to entertainment, shopping, restaurants, golf, and more. Plus, you can check crime reports, housing trends and more. This is a great start and can help you pinpoint the areas where you want to look first. Now, it’s time to turn to the professionals. Experienced, Sun Lakes real estate professionals can help you find the best community for you. Specifically, an experienced real estate agent who lives in the area can provide insights you can’t get anywhere else. Not only do they know correct pricing and housing trends, they also know insights you can’t get anywhere else relative to each community. 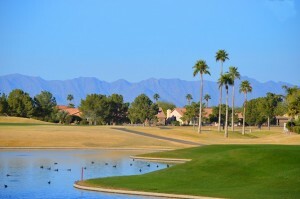 And in Sun Lakes, there are a lot of communities to choose from including: Cottonwood Country Club, Ironwood Country Club, Oakwood Country Club, Palo Verde Country Club, and Sun Lakes Country Club. Plus, there are all of the active adult communities in: Solera – Chandler, Solera – Johnson Ranch, Springfield – Chandler, Sunbird – Chandler, Trilogy – Encanterra, and Trilogy – Power Ranch. With so many choices, it’s essential to work with an experienced real estate agent so you know what each community has to offer and which once will be right for you. Otherwise, you could spend hours researching each area and still not getting the “inside information” you need to make the best decision. A Sun Lakes real estate agent can get you the best price too! In addition to helping you find the perfect home with all of the right amenities and activities in the appropriate community for your needs, an experienced real estate agent is the only person who can get you the best price too. At the Kolb Team, we live in Sun Lakes and have helped many people buy and sell hundreds of homes in the area for over a decade. We know what real estate is worth in the area at all times and can give you the best deal possible. Also, buying a home in Sun Lakes, AZ is a major investment. It not only involves your money, but it also involves a lifestyle change. Do you really want to take this big step without a professional helping you through all of the decisions and paperwork necessary to find, buy and close the deal on your dream home? If you want to find your perfect home in Sun Lakes AZ fast and buy real estate near Chandler at the best price, use an experienced and qualified Sun Lakes REALTOR® who lives in the area and can give you all of the information you need… and guide you through the process from start to finish. You’ll save time, money and hassle and end up with your dream home in a community that you love!